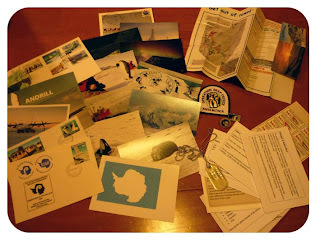 This was the package we received from Chaucey whose father is a philatelist and has some great Antarctica memorabilia, I am so chuffed that she shared it with us. There are a couple of things missing in the picture but we will be covering those later. There is lots of little info cards, maps, photos, stickers, envelopes, dog tag, pins.... I am planning some kind of letter writing exercise to make use of the envelopes, not sure what yet. 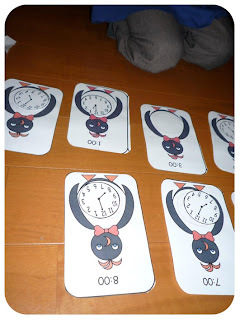 I also found some penguin printables on makinglearningfun , we reviewed telling the time, he has got the hang of o'clock and half past now so we will move onto the more complicated parts soon. And this one is supposed to be used for a dice game but we used it for chopstick practice instead. 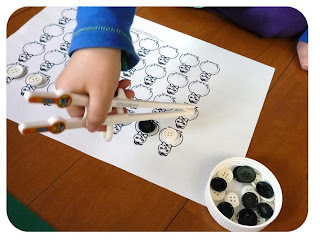 We have a set of chopsticks that have loops on the fingers to help the child position their fingers correctly, picking up buttons was quite tricky but he finished it and then used the chopsticks to put them back in the jar.